During the Aug. 21 eclipse, the moon will pass between the sun and Earth, blocking the face of the sun and leaving only its outer atmosphere, or corona, visible in the sky. CAPE CANAVERAL: The first total solar eclipse across the continental United States in a century is expected to spark watching parties and traffic jams as it darkens skies from Oregon to South Carolina, authorities said on Wednesday. It is the first coast-to-coast total eclipse since 1918. Weather permitting, people can watch as the moon's 70-mile (113-km) wide shadow crosses through 14 states from 10:15 a.m. PDT (1715 GMT) around Lincoln Beach, Oregon, to 2:49 p.m. EDT (1849 GMT) in McClellanville, South Carolina. With 200 million Americans within a day's drive of the path, national parks and highways officials are bracing for a travel surge. "Be prepared," Martin Knopp of the Federal Highway Administration said at a news conference, cautioning drivers against simply showing up. "It's not the time to pull over and be on the side of the road." Travel groups and many scientists will be heading to Oregon's northwest desert seeking favourable weather for viewing, according to the website eclipsophile.com. 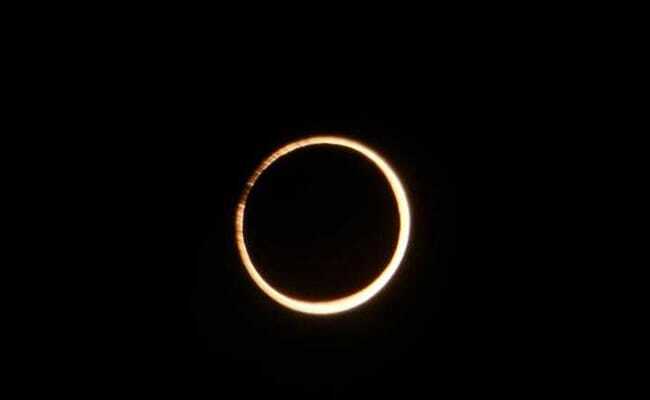 Total solar eclipses occur somewhere on Earth every year or so, but most cast their shadow over oceans or remote land. The last total eclipse over part of the contiguous U.S. was in 1979. All of North America will experience a partial eclipse, though the difference between a full and partial eclipse is "literally the difference between night and day," said astronomer Rick Fienberg of the American Astronomical Society. He noted that even a 99 percent eclipse will not reveal the sun's corona. And during a total eclipse, the temperature drops and the horizon is ringed by the colours of sunset. "The sky gets deep twilight blue and bright stars and planets come out," Fienberg said. "Animals and birds behave strangely, like it's the end of the day." NASA said it plans to fly high-altitude research balloons and airplanes for solar physics and other experiments. Nearly a dozen U.S. science satellites will observe the sun and Earth. The U.S. space agency will also broadcast the eclipse live from locations along the path. Experts caution that the only safe time to look at the sun without special eclipse glasses is during totality when the surface of the sun is completely blocked by the moon.